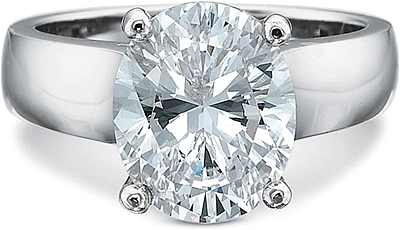 This image shows the setting with a 3.00ct oval cut center diamond. The setting can be ordered to accommodate any shape/size diamond listed in the setting details section below. This ring by Precision Set is a simple four prong solitaire setting with a wide shank that will beautifully show off the center stone of your choice.